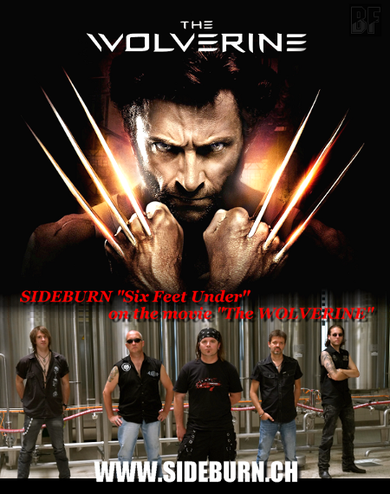 Swiss hard rock band SIDEBURN's song "Six Feet Under" was used as a soundtrack on the 20th Century Fox film "The Wolverine" (with Hugh Jackmann) being released to the public now. The movie will be releasing on September 13th in Japan. Their songs were also used so far on other films below. 20th Century Fox: "24" (with Kiefer Sutherland) - Season 8, Episode 8 - song "Six Feet Under"
Open Road Films: Trailer of the movie "Hit & Run" (with Bradley Cooper) - song "Knockin at the wrong door"